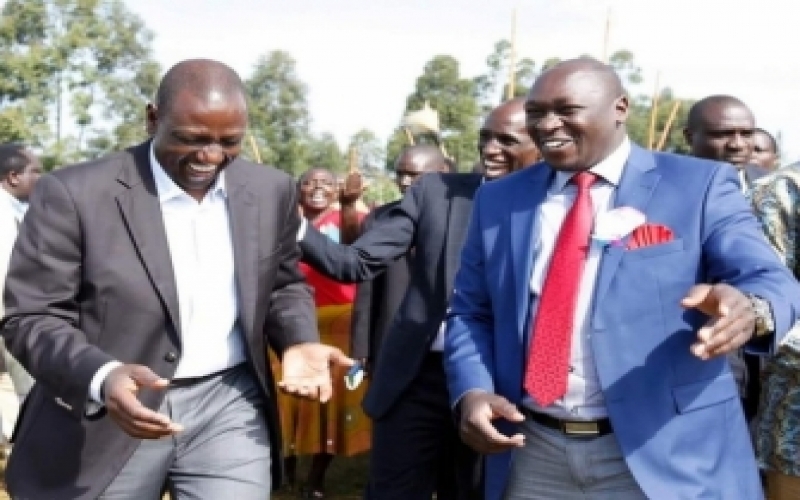 Thursday February 7, 2019 - Nandi Hills MP, Alfred Keter, and his Cherangany counterpart, Joshua Kutuny, are just among the many leaders whose political careers will be destroyed by Deputy President William Ruto on his way to the Presidency come 2022. This was revealed by political analyst, Joseph Kogei, who said the so called rebels in Rift Valley will have it very rough going to 2022 polls. Kogei asserted that elected leaders from Jubilee in DP Ruto's backyard will have to seek re-election using the party ticket or any party that will be formed before 2022 or else they will be doomed. “The DP’s presidential candidacy is a tragedy to a section of people who will attempt to use the alternative existing party to seek various slots. Ruto’s foray will submerge them as people will favour a party that their kingpin is in,” Kogei said. He noted that the fate of the DP’s critics is hanging in the balance for some leaders among them are Cherangany Member of Parliament, Joshua Kutuny, Silas Tiren (Moiben) and Alfred Keter (Nandi Hills) because they will be forced to fight so hard to save their careers. “Other parties that are known will not have a soft landing, democracy will be limited since people will be more focused to the race for the highest office in the land,” noted Kogei.